eLockers+ is a private collaboration environment designed for use in Schools, Colleges, Universities and Corporations. eLockers+ provides a quick and simple way to collaborate with individuals, classes or groups of users, across an entire organisation or school. eLockers+ is the result of years of intense development and the culmination of a 6 month iBeacon collaboration project between Specialist Apps in Hong Kong, Haileybury School in Australia, and Bryanston School in the United Kingdom. The deep integration and support of iBeacon technology has been shown to redefine how teachers can interact with students. The eLockers+ App is a free App that has been completely re-designed / engineered from the ground up. 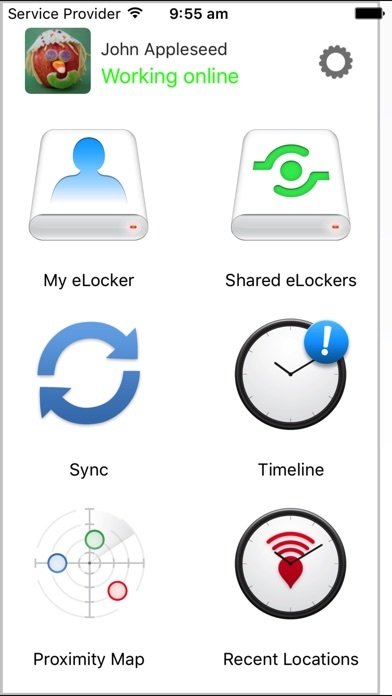 The eLockers+ App gives a user access to the eLockers+ system anytime, anywhere on their iPad or iPhone. Using the eLockers+ App, a user can quickly add CONTEXT to any content. Teachers / Managers have the ability to Pin any kind of media or App Link to a physical location (iBeacon) or even to their own iPad or iPhone acting as an iBeacon. 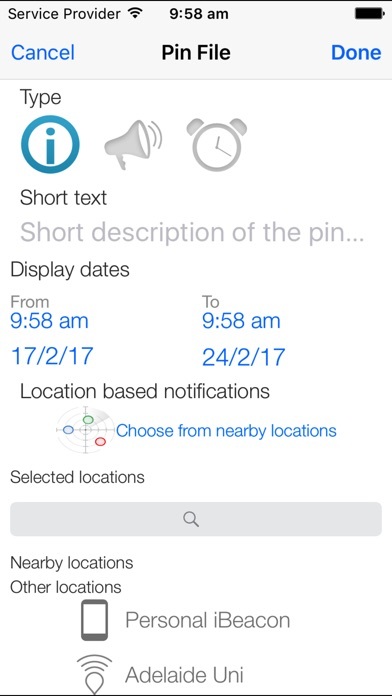 Students / Participants are automatically notified of pinned resources relevant to them when they approach the specified location. The eLockers+ system is Beacon independent… Any third party Beacon that supports the iBeacon standard can be added to and supported by eLockers+ The eLockers+ App features groundbreaking new tools including ProximityMap- to quickly discover any relevant content within range Recent Locations – to provide a simple history of visited iBeacons, and “	Near me Now” - to quickly alert and guide users when relevant iBeacons are within specified trigger ranges Using eLockers+, users can store and distribute files that were created on their own computer, iPad, or iPhone in a secure, private, collaboration environment. eLockers+ has been designed for both 1:1 and Class Sets of iPads and iPhones, and supports both Active Directory, LDAP authentication methods. 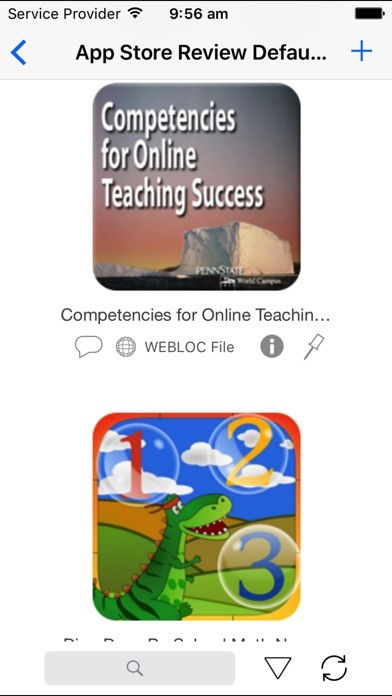 For early years students, the eLockers+ App has a simplified Avatar system for quick, simple login and user caching. eLockers+ is the perfect way to access learning resources, submit assignments, carry important files everywhere you go, and capture your own content and share it with teachers, students, managers and staff. eLockers+ has a comprehensive set of collaboration features, including the ability to share, rate, tag and discuss items using text, audio and video commenting. With the eLockers+ App you can view your documents, images and movies directly within the app, and open supported files in third-party apps for viewing and editing. You can send new versions back to your eLocker App and save them in your private eLocker. 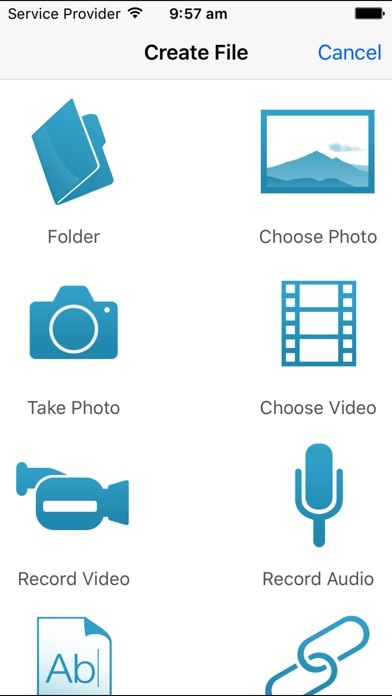 eLockers+ also lets you capture images, audio and video on your device and share them immediately with everyone in your class or management group in a safe and secure environment. You can share content including App Links, Text, Web Links and more using either the eLockers+ app or the web interface. The Timeline displays all collaboration events in reverse order so you can see what’s changed. There’s an indicator that shows you how many changes have been made since you last logged in, and push notifications alert you to new events in any shared elockers you are subscribed to! When you need to go offline, you can take your eLocker anywhere by syncing your eLockers+ content. Files you add to your eLocker while you’re offline can be uploaded when an internet connection is re-established. You can connect and disconnect by simply tapping a button. eLockers+ supports a great range of file types, including images, audio, WebLinks, App Links, text notes, movies, pdf, html, Pages, Numbers, Keynote, Word, Excel and PowerPoint. Other file types that cannot be opened directly in the eLocker app can be stored and managed, and can be sent to other apps for opening, editing and sending back to the eLocker.